Question: How do you organize your fresh water fly boxes? Do you have a Top-10 list of dry & wet flies that you’ll always carry? Answer: There are lots of ways to organize your flies: by season, by species, by kind of water, by fly style, by color, and so on. Experts will obviously disagree on both of Mark’s questions, so here’s a sampling of responses from guides, writers, and fish bums of every stripe. For a comprehensive look at fly-box organization, listen to Tom’s 15-minute podcast on the subject here. “I keep the flies in boxes…. Other than that, I am not particularly organized. OK, I do have a nymph box, a terrestrial box, a streamer box, a midge box, and 2-4 other dry fly boxes. But I don’t organize by time of year, species, water, etc. All the trout stuff is in my vest. All my bass stuff is in a big box or two, in a small shoulder bag. All my saltwater/striper stuff is in soft, flat bags called Finsport streamer wallets and carried in a bigger shoulder bag with reels/leaders/etc. “Ever since I hung up my vest in favor of a fanny pack, out of deference to my creaky back, I’ve carried just two fly boxes with me. One box I load up with imitations of what I expect to encounter on the specific river or pond that I plan to fish at a specific time of year. 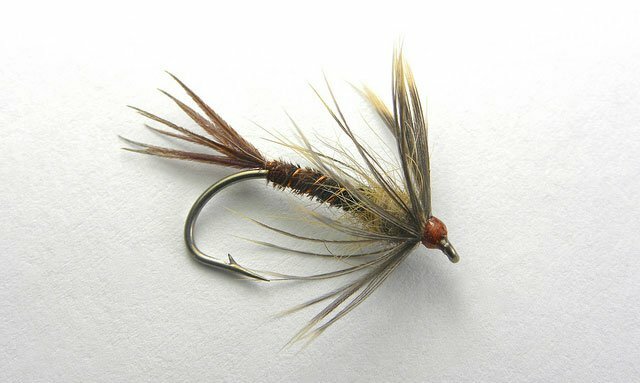 On Rocky Mountain rivers in the summer, for example, I bring my Pale Morning Dun/Sulfur box, with emergers, duns, and spinners in various designs to match these two prolific and dependable hatches. For the early season in the East, it might be Hendricksons and Blue-Winged Olives. “When I go on a trip, I pack fly boxes specifically for the rivers and hatches I’ll encounter. I love spreading patterns out on the dining room table and then organizing them into new groups. I like to organize flies by style (nymph, emerger, dry, spinner, streamer) because I find that it’s easier to remember where something is in my vest that way. Every trip I go on, I put the nymphs in the same pockets, for instance.